A Gluten free pie crust recipe that’s easy to make with just 3 healthy ingredients, and a dairy free option. A versatile gluten free pie crust that’s great for creating quick savory meals or sweet desserts. This recipe has become a staple in our house for easy gluten free baking! This is it! Officially calling this week “EASY Gluten free PIE” week. 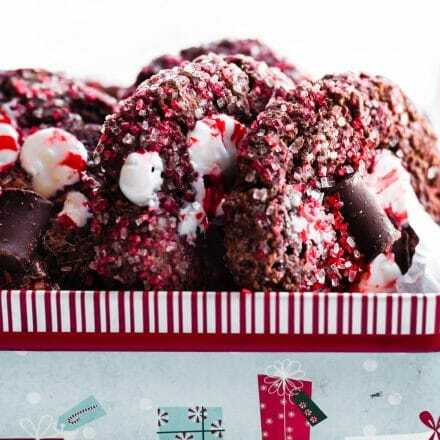 And all you need to make your Gluten Free Holiday Baking (and eating) complete. Or maybe I’m just bias. Haha! Either way, I have a feeling you’ll agree once you try this 3 Ingredient Gluten free pie crust ya’ll! You heard me. THREE INGREDIENTS! GASP! Oh my goodness, oh my goodness! I could not wait to share this recipe with ya. I am one big nerd, I know. But this recipe has SERIOUSLY saved me in the kitchen; time wise and all. No Martha skills needed. Which is good because right now I can’t be Martha, or even attempt. Nope, it’s scrappy Cotter ALL in this season. Okay I lie. When I made that Panforte Christmas Cake I kinda felt Martha-esque. But still, that cake was sooooo easy. Promise. Let’s get back to this 3 Ingredient Gluten free pie crust situation. I know you must be wondering what it’s in it and how it actually works. You will BE AMAZED at the baking hack, and obsessed! 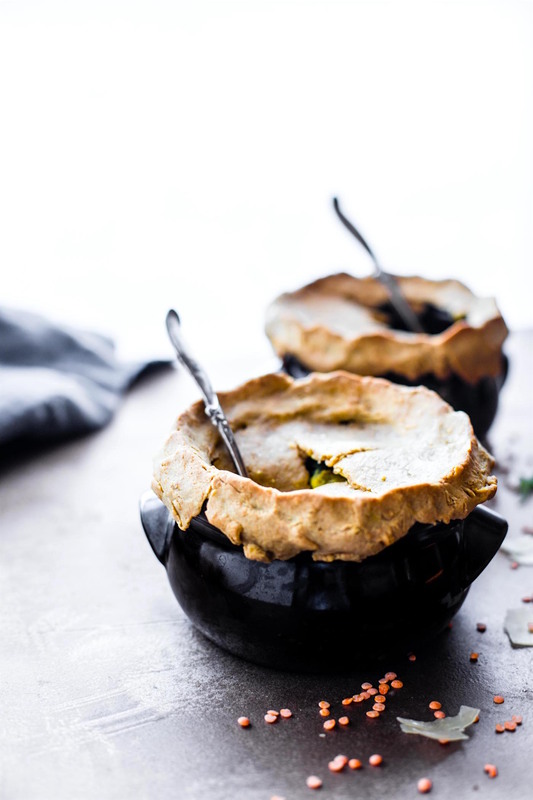 You ready for this ridiculously easy Gluten free pie crust? Let me count the ingredients out for you. First ingredient –> Coconut oil (softened) or Butter if you are not dairy free. Second Ingredient –> 1 egg, whisked. Third and most IMPORTANT ingredient. The one that make this crust just plain AWESOME! Drum roll please… —> Gluten Free Bread. 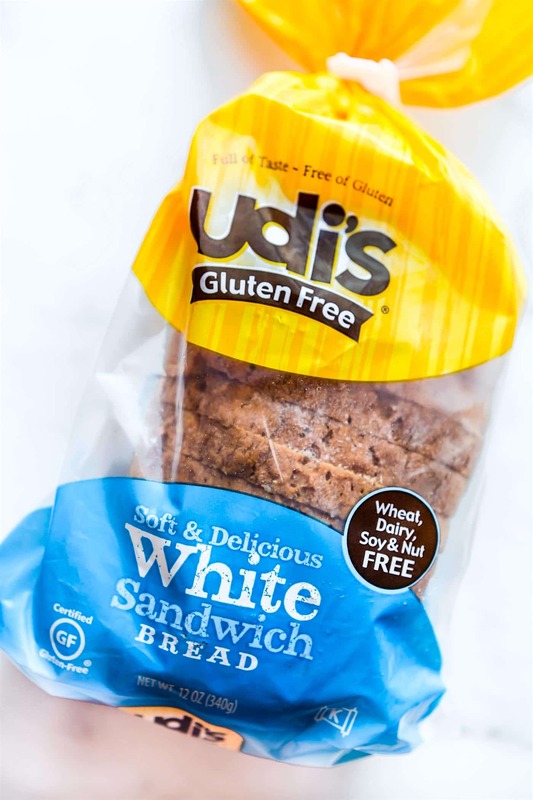 Specifically UDIS Gluten free White Sandwich bread! Are you still stumped? Here let me explain how this works, mmm, k? You see, the gluten free bread acts as the dough. It’s my MAGIC dough. Or so I like to think. And guess what? It’s soy free, dairy free, nut free, vegetarian, and gluten free. HOLLAH! Cut up the gluten free bread into cubes. I used about half a loaf of Udis Gluten Free White Bread. 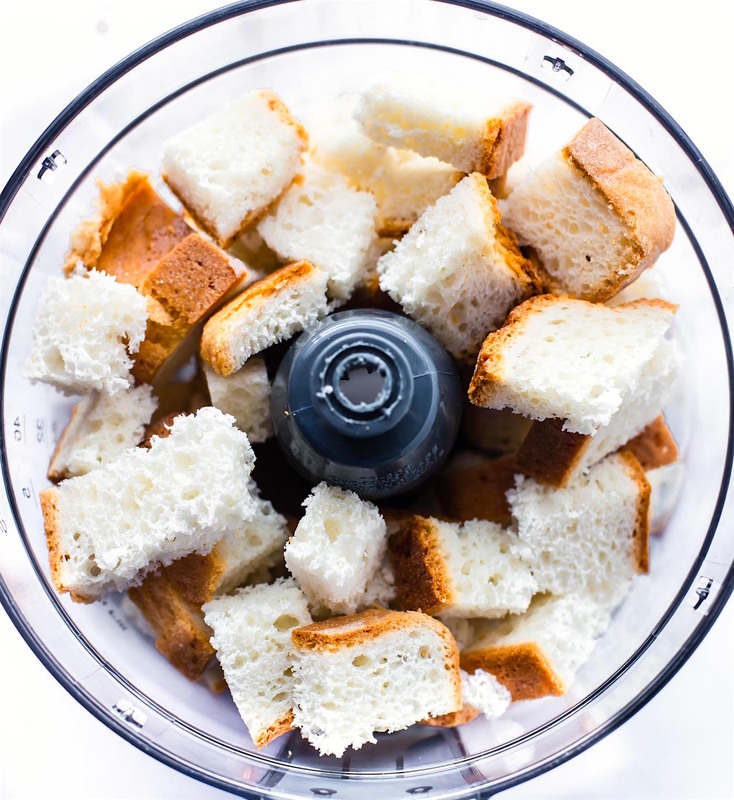 Place bread in a food processor. Add in your whisked egg. Add in your coconut oil (softened, not liquid). Blend again. Add a tiny bit of liquid ONLY if needed (Water, Juice, or Apple Cider Vinegar all work). Then press that little food processor button again to blend into a dough. It’s like the simplest gluten free pie crust recipe EVER! After you get the dough formed. Roll it up and place in the fridge. I think it works best once chilled. Mmm k. Now you’re ready to roll. Literally. Just roll out the dough with a rolling pan. Place a sheet of plastic or parchment paper between the rolling pin and gluten free pie crust dough. 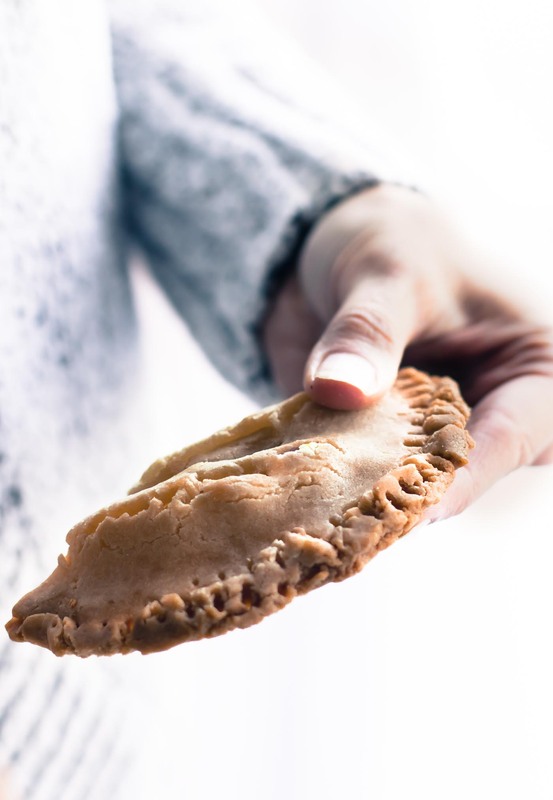 Now that you have gluten free pie crust dough, the question remains…. what to make? Ohhhh So glad you asked! Ya’ll, I made 3 PIE dishes with this gluten free pie crust recipe in 3 days. No joke. Don’t worry, I will share all these with you soon. 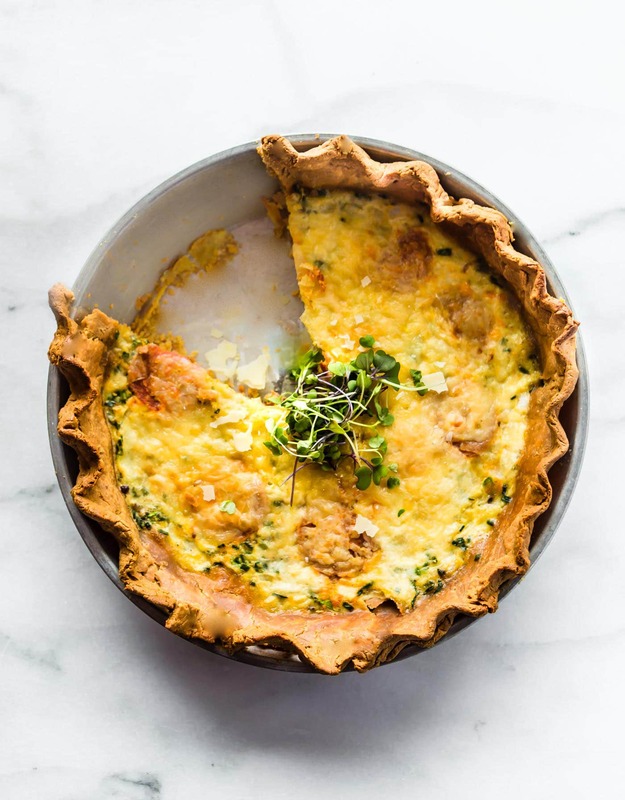 A tasty gluten free quiche. And Gluten free Chicken Curry Pot Pies. Okay now I kinda feel like Martha. Haha. Just healthier, scrappy , and gluten free! This is now my go to gluten free dough for baking. Yep. Not looking back. Call me a slacker, but I think it’s pure genius. A gluten free pie crust recipe that doesn’t require skill or time. Plus you can make a few batches and then freeze it. Which is what I did and totally genius if you ask me. Especially during the busiest time of all. HOLIDAY SEASON! Or in my case Holiday season plus moving states season … Ya, we are crazy that way. I’m asking Santa for my sanity these next 3 weeks. I’ve been slowly losing it. LOL! Let’s hop to the gluten free pie crust recipe. Which obviously won’t take long. Super easy 3 Ingredient Gluten Free Pie Crust. 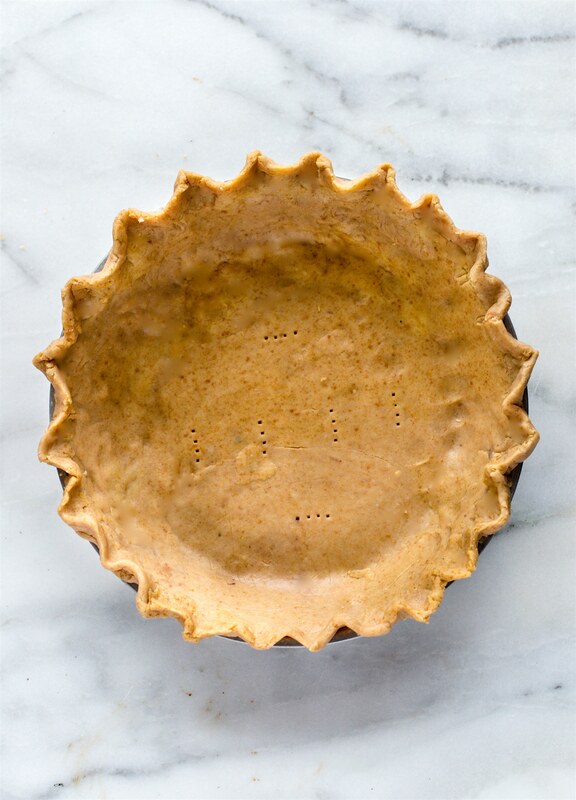 A multipurpose Gluten free pie crust that’s great for a quick meal, dessert, or baking dish. Dairy free with a vegan option! 4 1/2 c cubed gluten free bread. About Half a loaf. 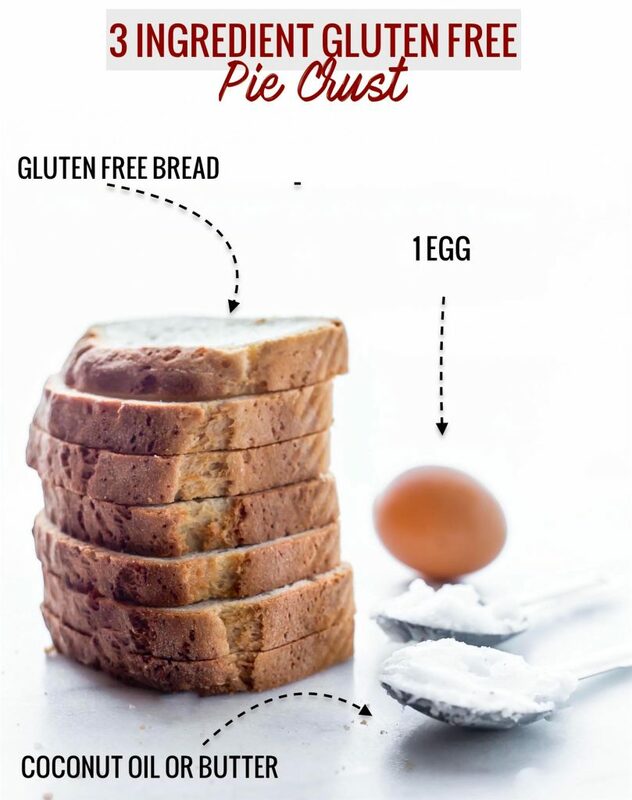 gluten free sandwich bread works best. Cut your bread into cubes. Place it in a food processor. Blend and grind, until more of a bread meal texture is formed. Add in your whisked egg. Pulse a few times. Add in your coconut oil (softened, not liquid). Blend again. Add a tiny bit of liquid ONLY if needed (Water, Juice, or Apple Cider Vinegar all work). Then press that little food processor button again to blend into a dough. After you get the dough formed. Roll it up and place in the fridge. I think it works best once chilled for at least 2-3 hours. Just roll out the dough with a rolling pan. 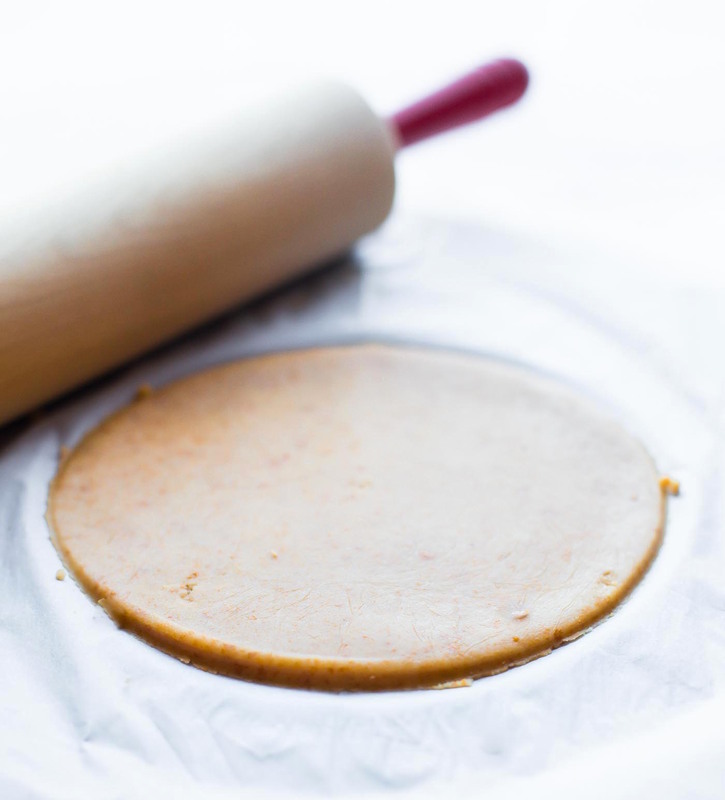 Place a sheet of plastic or parchment paper between the rolling pin and gluten free pie crust dough. Roll into 1/8th in to 1/4 in crust. This amount of crust will make enough for 6 hand pies and a pot pie. If you want to make a gluten free pie crust (9 inch), a little over half a loaf bread should work for the dough. But I would Make 2 batches and then combine dough in case you need extra patching up the pie crust. You can freeze the rest. There will be extra to hang over the pie plate to crinkle crust. Make sure to pierce the bottom with a fork. 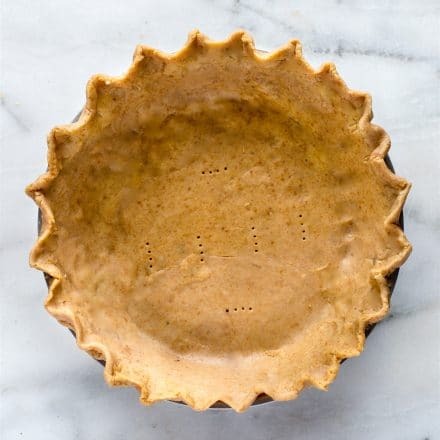 if you want to use this as sweet pie crust You could add in a tablespoon of sugar or try using a sweet gluten free bread like cinnamon bread, etc. If you want to make a gluten free pie crust (9 inch), Make 2 batches and then combine dough and roll it out for 9 inch pies. If you are making a 9 inch pie crust The dough might not get very flexible, but lay as much as I can over the pie dish, then press the rest of the dough in pieces into the pie pan to fill the pan with dough. Same for pinching the top. Use whatever dough you have extra to make it even on top and then pinch together. Doesn’t have to be pretty, it’s still tasty! VEGAN OPTION: Vegans can try adding apple cider and just coconut oil. It will be thicker and harder to roll out, but still bakes. Just a little crispier. Stay tuned this week. More Gluten Free Pie Crust recipes with this recipe. 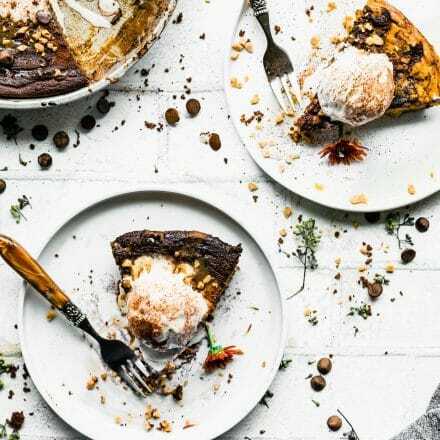 All cozy comfort food recipes that are also dairy free friendly too. Dude, I CANNOT WAIT! Tell me.. do you shortcut your way through recipes too? I think it’s totally allowed with gluten free ingredients that are so simple. Right? I sense you nodding your head. This is genius and life changing! OMG you will love this megan! half lazy half genius, right?LOL! Oh snap! When I read the recipe, I was not expecting to see that it called for bread. But that’s such a genius idea! Love it, Lindsay! i like to shock people on a monday. LOL! This is genius and it looks delicious! This is so crazy creative! Totally takes the intimidation out of pie crust! Ok Lindsay this is genius! Perfect for our favorite savory dishes! THIS IS AMAZING. WOW. WOW. Thank you Lindsay! All great comments but what is the taste and the texture like ? thanks friend! p.s how are you feeling? Oh I’m intrigued by this! I even have that loaf of bread in the freezer and those pie pockets look delicious! I need to find time to try this! I won’t lie to you – I’m pretty dang stingy with my Udis bread. That stuff is NOT cheap and for someone who is a major penny pincher, it’s hard for me to use it so quickly! This pie crust is just too good to resist though. And I bet it makes using half a loaf so worth it. Haha I feel ya! Totally gonna covet it! Never would have thought of making it this way! maybe, just maybe I could make a cherry pie from scratch this year! i am so amazed at how this is possible! Never would I thought to use bread as the main ingredient in pie crust! Maybe I’ll actually start liking pie crust……. What a great idea to use bread!! I love that seriously every single diet type can be accomodated these days! I LOVE EASY!!!!!!!!!!!!!!!! 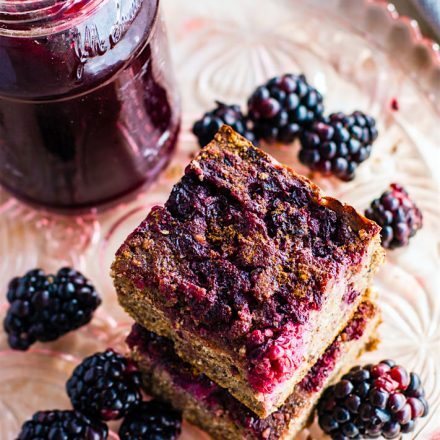 Can you make this with gluten bread too? I am passing on the my youngest stepdaughter. Her hubby has to be careful of gluten. yes! this is gluten free bread from Udis gluten free. So easy! This is SOOOOOOOO clever! I need to try this ASAP! You, my friend, are a GENIUS! I cannot wait to try this! Looking forward to seeing those 3 recipes you made with this GF pie crust! Ahhh well I get my genius factor from being friends with you! haha hardly. I like shortcuts! LOL! OMG, I love this trick! How simple! Now I’m wondering if this would work with aquafaba or flax egg instead of the real egg. I’ll have to give it a go! Looks beautiful! I actually made this without egg on accident and it still worked. Just a little crispier. YOu might add a tad ACV. But i bet flax egg would work too! My mind is blown! This is amazing! scrappy chef cotter at your service! A super simple dough is always a good thing to have in your arsenal. I have one too for quiches that freezes well, although it’s not gluten free. 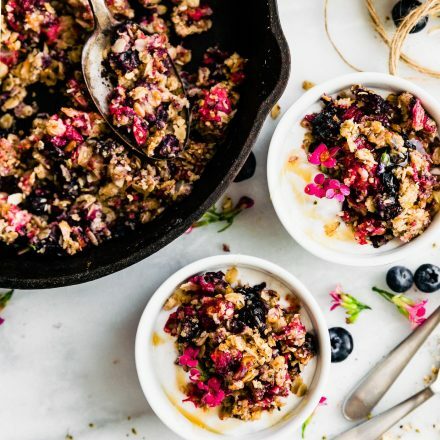 Yours looks amazing and full of delicious and simple ingredients. I love it. 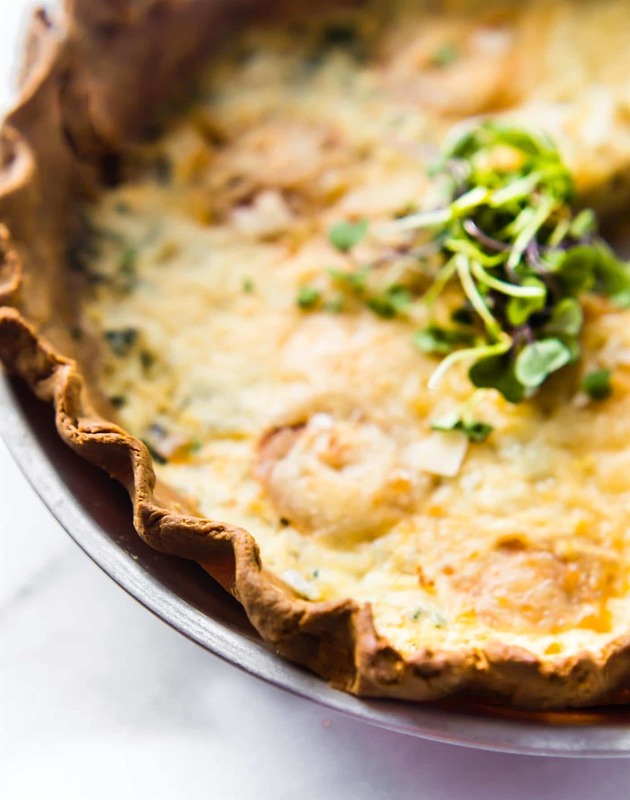 Every time I see a quiche (or cheese) or a banana I think of you. LOL! Well… this is 100% GENIUS!!! What a great little life hack!!!! Love how pretty your pie is too. This is SO creative Lindsay. I’ve never thought of or even SEEN using bread to make pie crust! So great for savories like pot pie, too. What a cool idea! I always find homemade pie dough so hard to work with and I always end up with a big mess–but it sounds like, at least, making the dough is really easy. I’ll have to see if my roommate will let me borrow her food processor so I can try it sometime. I so agree! Let me know if ou give a shot Joyce. Be sure to try and patch it up in the pie pan. It’s pretty easy to do. The dough will be a little thicker and less flexible than real pie dough. But so good and easy! Awesome! KEep me posted Cat!